Bank of the West, a US subsidiary of BNP Paribas, has moved to a hosted version of its old FIS Systematics platform. The bank is a long-standing user of the mainframe-based core system, supporting its operations across 24 states, reports Martin Whybrow. The bank’s EVP and CIO, Jacob Sorensen, cites the increased competitiveness of the banking environment as a reason for the shift. “The tools and services that meet the changing needs of our customers are critical,” he says. The new environment is also intended to provide more stability and easier recovery. Reference to the creation of “a pathway for the adoption of innovative new technologies” suggests next phases might see additional components around the core. Bank of the West previously added FIS’s Touchpoint customer service front-end. 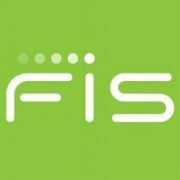 FIS acquired the Systematics business in 2003 when it bought Alltel Corporation, which in turn had bought the original developer of the system, Systematics Inc, in 1990. The Cobol-based system has 1970s roots and was a stalwart of the higher end US retail banking market, typically becoming heavily customised at different sites over the years. While there has been natural wastage, through bank mergers and closures, plus some replacements, the system remains embedded in a reasonable number of US banks and a scattering of non-US ones.